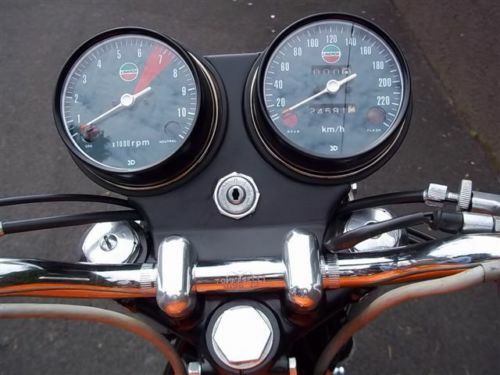 Classic Laverdas are, unfortunately for those of us with longing in our hearts and a distinct lack of cash in their bank accounts, finally starting to command the prices they probably deserve. For years, they languished in the underappreciated limbo where Moto Morini currently lives, trading hands for decent prices, but certainly a far-cry from what you can expect to pay for a decent Guzzi or Ducati of similar vintage. And while eBay and your local Craigslist postings are filled with Triumphs in every condition from basket cases to patina’d riders to trailer-queen bobbers and café-racers, the big twins from Breganze are pretty hard to find in any condition. 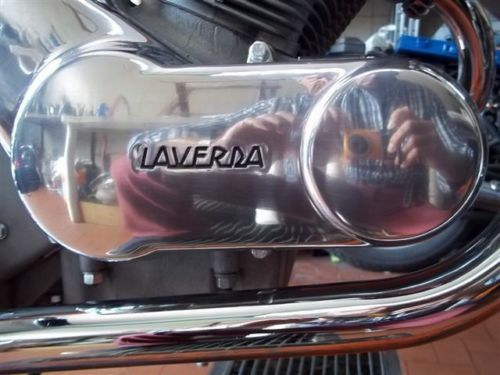 But that may just be the loyalty that Laverdas seem to inspire: these almost always show up as well-cared-for riders. Folks seem to take care of them, and hang onto them until they can’t ride anymore. Laverda got its start building farming machinery, and added motorcycles to the menu to feed the postwar boom of folks getting back to work in desperate need of cheap transport. Their early offerings were small sporty bikes under 200cc’s, but they knew that they would need to offer a bigger bike to compete with offerings from Triumph if they wanted to grow the company. This was especially true across the pond in America, where riders subscribed to the same “bigger is better” mentality as they do today. 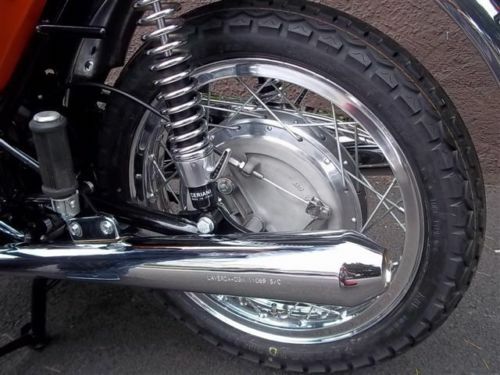 Their 650cc parallel twin was introduced in 1966 and enlarged to 750cc’s in 1968. 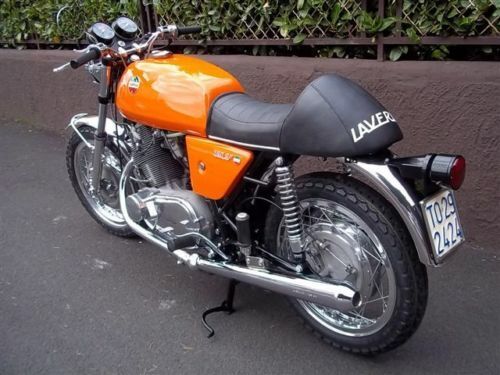 Interestingly, Laverdas were imported to America as “American Eagles” between 1968 and 1969, although I’d imagine many of these have been rebadged as Laverdas by now. Stable and fast, they developed a well-deserved reputation for durability. The two-cylinder engine featured five main bearings, and all parts not made in-house were chosen for their quality, not their country of origin: Italian suspension, German ignition components, and Japanese electricals all combined to make for a bike that would last. They were heavy, but perfect for endurance racing events that favored reliability. 1972 Laverda 750 SF, matching number, frame off restoration, sandblasted and powder painted frame, 100% original parts, 40 mm pipes with complete exaust set with new compensator and new mufflers, polished Borrani laced wheels, Laverda drum brakes, Vintage Dunlop tires, reupholstered seat, new cables, new harness, remanufactured original ND gauges, new chrome parts and polished aluminum everywhere, inner treatment to the fuel tank, original Laverda orange paint, engine with original 24,600km/15,400 miles, 36 mm Dell’Orto carburators, Ceriani forks and adjustable shocks, new clutch, generator, starter, new lithium battery, Laverda embossed bolts. Original 1972 Italian Registration, Title and Plate, ready to run. 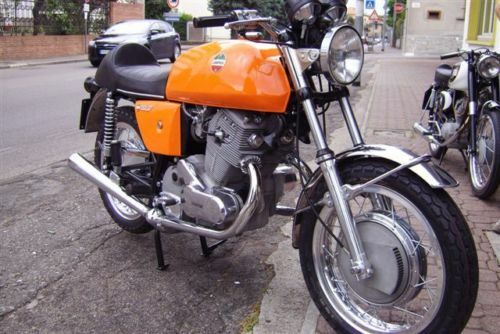 Today owing an impeccable and original Laverda 750 SF is a privilege and a safe well of family to be proud of. 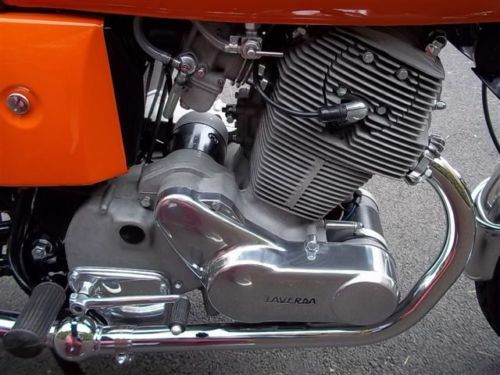 These Laverdas sound smoother than British parallel twins of the time, but also distinct from Italian v-twin powerplants from Guzzi and Ducati. 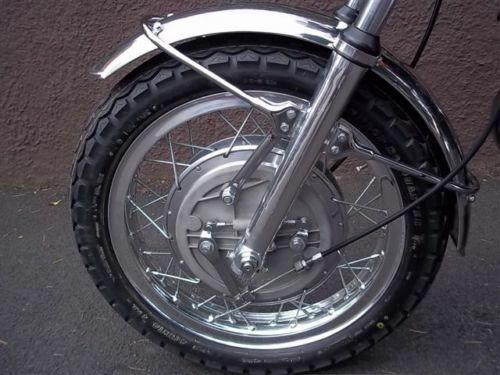 Later SF’s featured a pair of disc brakes up front, but this earlier model has Laverda’s in-house 9” front drum brake that lent its name to the bike: the “SF” stands for “Super Freni [braking]”. While the discs may look more modern, the drum is desirable and very effective. 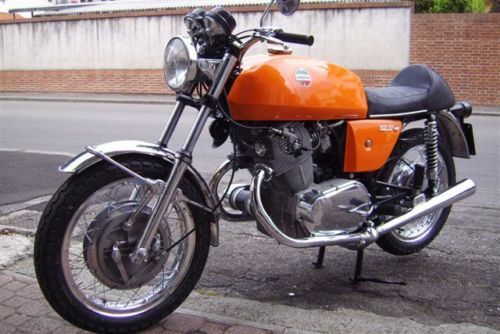 This looks like a gorgeous restoration and the bike has been painted in classic orange, but with an $11,500 starting price and no bids yet, it may be that the market isn’t quite ready for five-figure Laverdas. Or maybe bidders are just balking at the idea of dealing with importing a bike from Milan, Italy where this bike is currently located. Not so good for the seller, but great for those of us who still aspire to own one of these! the plastic bags can hamper the equilibrium of the environment. Guerrero, I was refesrred tto Principal Inspector Daan Snyder.